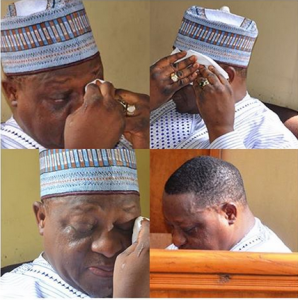 Photos: Ex-Plateau Governor, Dariye, weeps as court sentences him to 14 years – Royal Times of Nigeria. 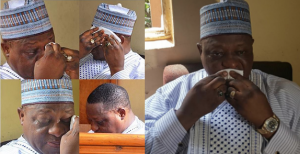 The Former Plateau State governor, Joshua Dariye, wept on Tuesday as he was being sentenced to 14 years in prison for corruption. Justice Adebukola Banjoko of the Federal Capital Territory High Court found him guilty of diverting N1.162 billion state ecological funds while he was governor between 1999 and 2007. He was first arraigned on a 23-count charge for the offence in 2007. He was however found guilty of 15 of the count charge. The presiding judge sentenced him to two years in prison for criminal breach of trust and 14 years for criminal misappropriation of funds. The sentences are to run concurrently. The court gave no option of fine. Mr Dariye is currently the senator representing Plateau West. 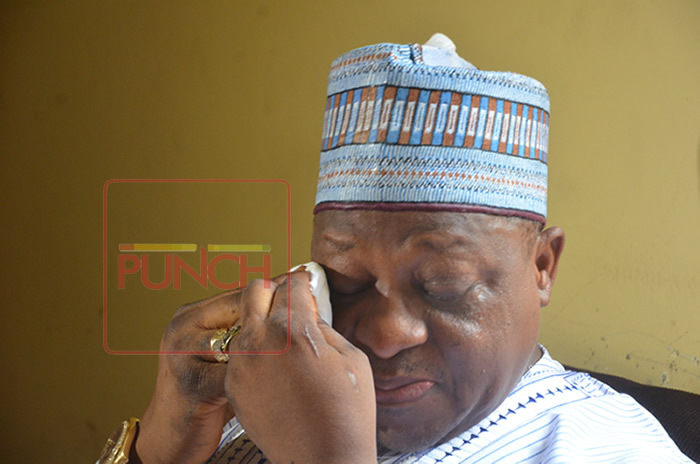 Dariye defected from PDP to APC in September 2016.